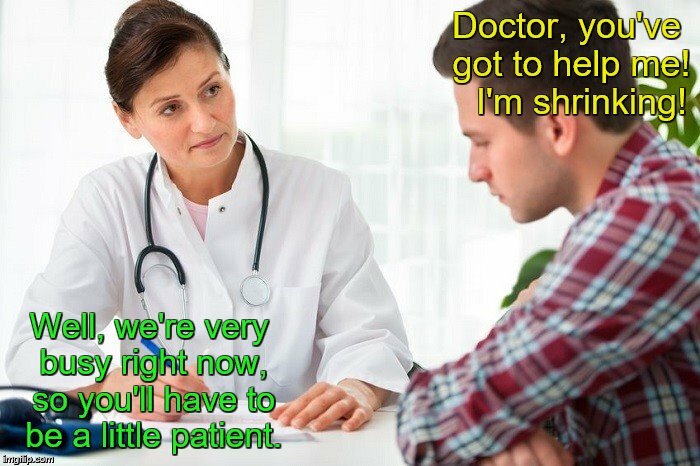 Doctor, you've got to help me! I'm shrinking! Well, we're very busy right now, so you'll have to be a little patient.